The Vapor Wild EAZE vaporizer. The EAZE by Vapor Wild is a small, portable cig-a-like styled device that allows you to vape both solid and liquid concentrates with the press of a button. The EAZE is rechargeable and is small enough to fit in a pocket for your on-the-go vaping needs. But how does the performance compare to larger, more expensive devices? The EAZE comes with a 340mA lithium polymer rechargeable battery, a 510 threaded cartridge, a USB charger, and a packing tool. The main selling point of the EAZE is its small, compact size. The size is comparable to a standard cigarette and is extremely lightweight. If you’re looking for maximum concealment and portability, this device may be just what you’re looking for. Naturally, when you’re looking at devices that are this small, you’re going to be sacrificing some performance. There’s just no way that a tiny little battery like this can match the performance of larger, more powerful portable vaporizers. Is that a reason to pass on the EAZE? It depends on what your goals are. Obviously everyone should own a more powerful vaporizer for those times when you need performance and vapor production above all else. But a small cig-a-like sized vaporizer like the EAZE should be an essential part of any serious vaper’s collection. 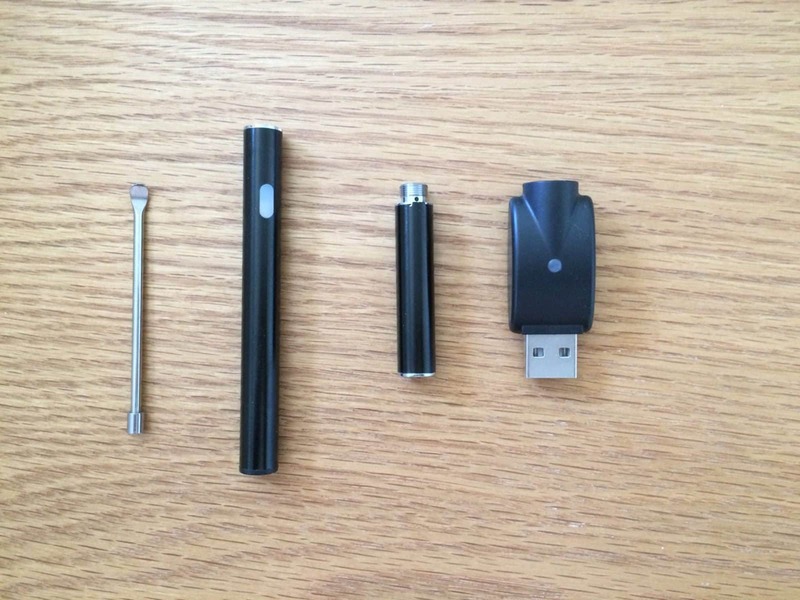 The ability to take a discreet puff off a small vaporizer while in public is a lifesaver for those situations when it would be ridiculous to whip out a full-sized device. With that disclaimer out of the way, I noticed that the EAZE definitely provided an adequate level of performance and vapor production that was unexpected given it’s small stature. It’s clear that Vapor Wild didn’t just set out to build a cheap little device to cash in on the vaping craze, but instead built something that will actually meet the standards of most vapers when it comes to quality, vapor production, and craftsmanship. The EAZE is a solid addition to the Vapor Wild family of portable vaporizers and it holds its own against more expensive devices. If you’re looking for a powerful, high-performance device with all of the latest bells and whistles, you might want to pass on this one. The EAZE is a simple, no-frills device that meets the minimum requirements in an extremely small size. This definitely should not be your main vaporizer, but as long as you know what you’re getting into, this vaporizer will definitely occupy an important niche in your vaping rotation. Buy the Vapor Wild EAZE at VaporWild.com for $29.99. Previous articleIs the US Navy About to Ban Vaping?